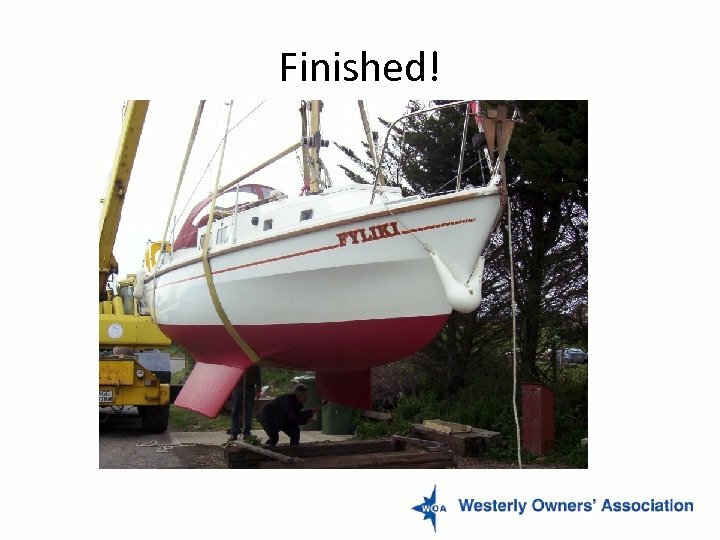 The Problem: • A Centaur with several years worth of antifouling • Which had built up and started to crack and flake off on to the paint roller as we applied new layers. 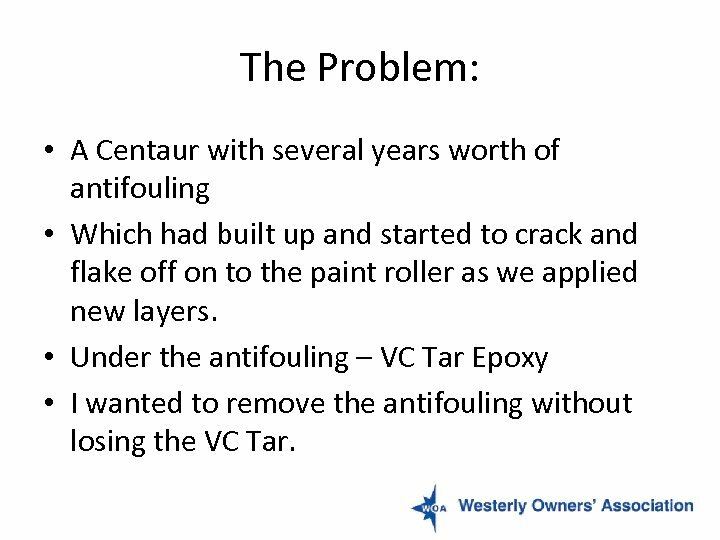 • Under the antifouling – VC Tar Epoxy • I wanted to remove the antifouling without losing the VC Tar. 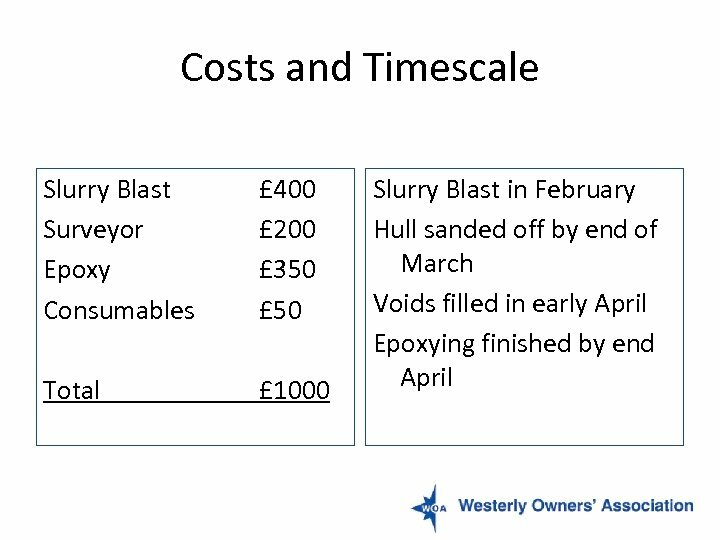 If you Do it Yourself: • You keep at it till you get it right • You don’t worry how long that takes because you aren’t charging yourself out at £ 50 per hour. 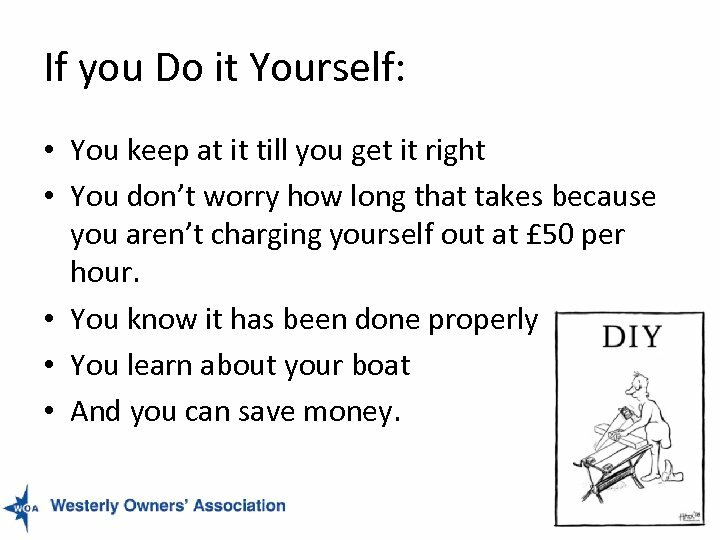 • You know it has been done properly • You learn about your boat • And you can save money. 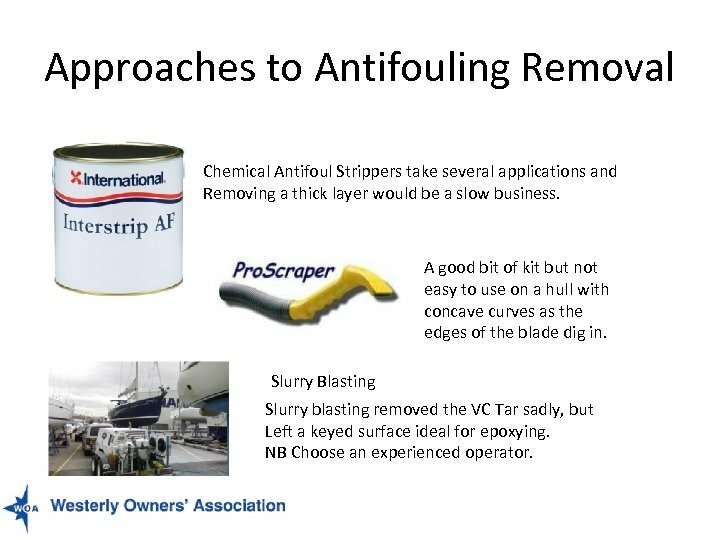 Approaches to Antifouling Removal Chemical Antifoul Strippers take several applications and Removing a thick layer would be a slow business. A good bit of kit but not easy to use on a hull with concave curves as the edges of the blade dig in. Slurry Blasting Slurry blasting removed the VC Tar sadly, but Left a keyed surface ideal for epoxying. NB Choose an experienced operator. 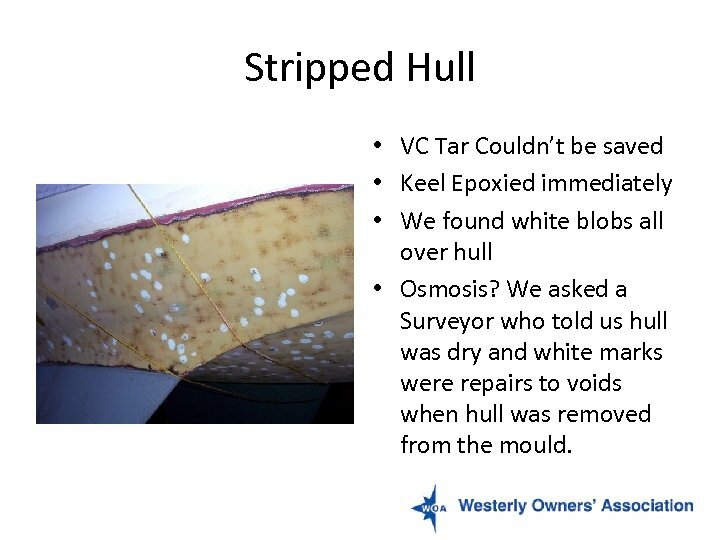 Stripped Hull • VC Tar Couldn’t be saved • Keel Epoxied immediately • We found white blobs all over hull • Osmosis? 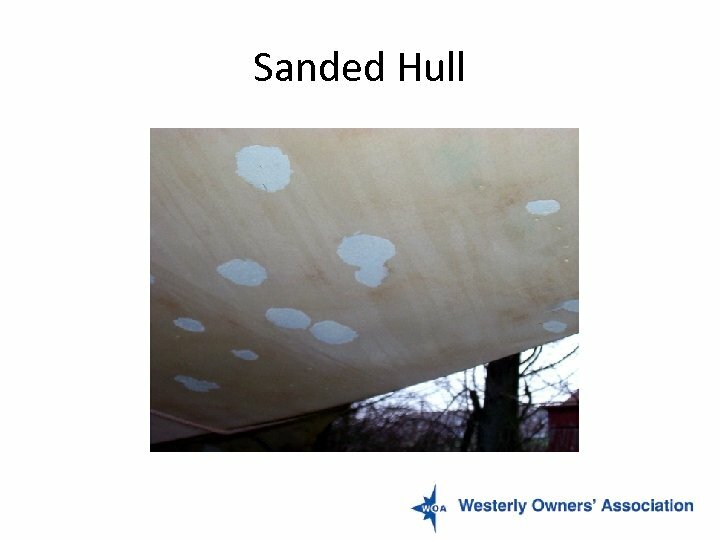 We asked a Surveyor who told us hull was dry and white marks were repairs to voids when hull was removed from the mould. 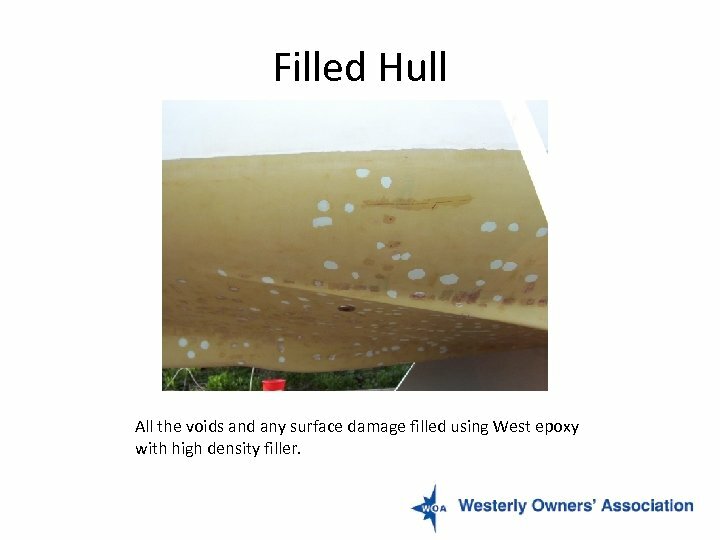 Filled Hull All the voids and any surface damage filled using West epoxy with high density filler. 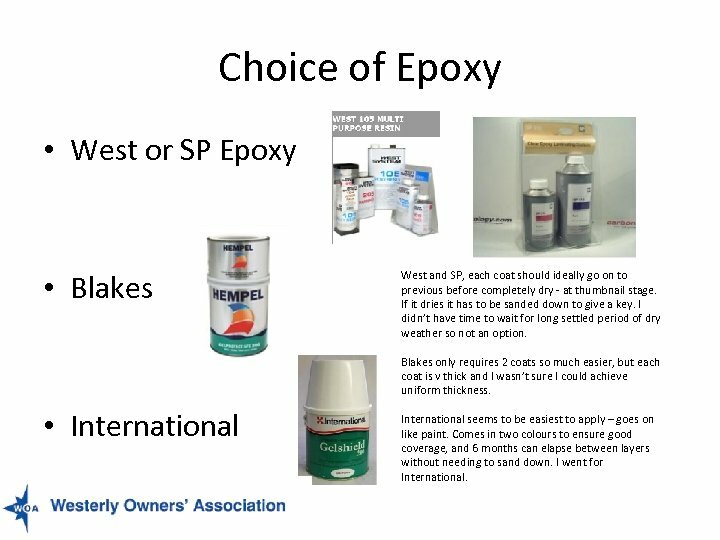 Choice of Epoxy • West or SP Epoxy • Blakes West and SP, each coat should ideally go on to previous before completely dry - at thumbnail stage. If it dries it has to be sanded down to give a key. I didn’t have time to wait for long settled period of dry weather so not an option. Blakes only requires 2 coats so much easier, but each coat is v thick and I wasn’t sure I could achieve uniform thickness. • International seems to be easiest to apply – goes on like paint. Comes in two colours to ensure good coverage, and 6 months can elapse between layers without needing to sand down. I went for International. The Tent You need a tent to keep it all dry and clean. I used roofing battens wedged under the rubbing strake. Tarpaulin draped over, with gap at each end to allow airflow. 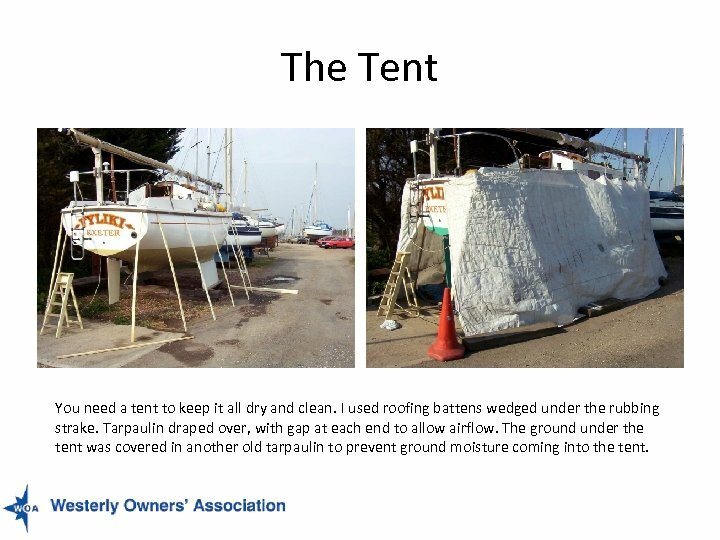 The ground under the tent was covered in another old tarpaulin to prevent ground moisture coming into the tent. Coat 8 So we did 8 coats – thought that was better than leaving it in the shed to go off. Advice: buy all in one go and get discount. Buy big tins and small tins and use the big tins first – and take the small ones back if you don’t use them. A lovely smooth finish. We did a bit of filling after 1 st coat. We used new rollers and trays for each layer. Mixing pots – don’t re-use – you get flakes. We used plastic beer glasses, marked up in advance to get the ratio right. 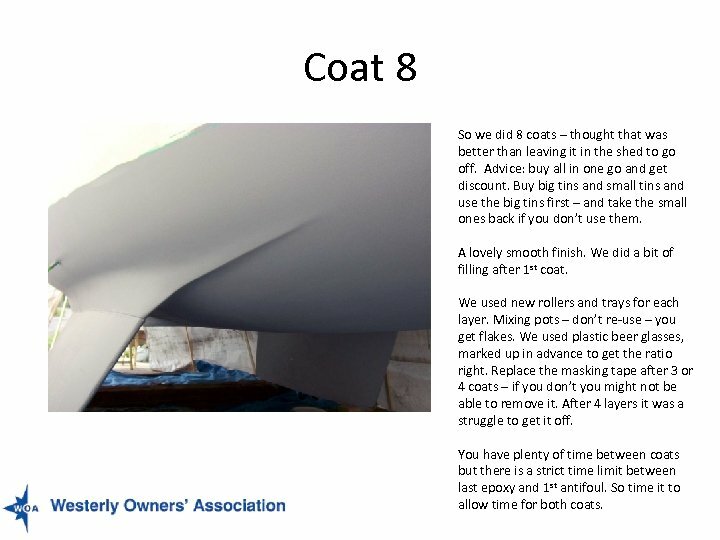 Replace the masking tape after 3 or 4 coats – if you don’t you might not be able to remove it. After 4 layers it was a struggle to get it off. 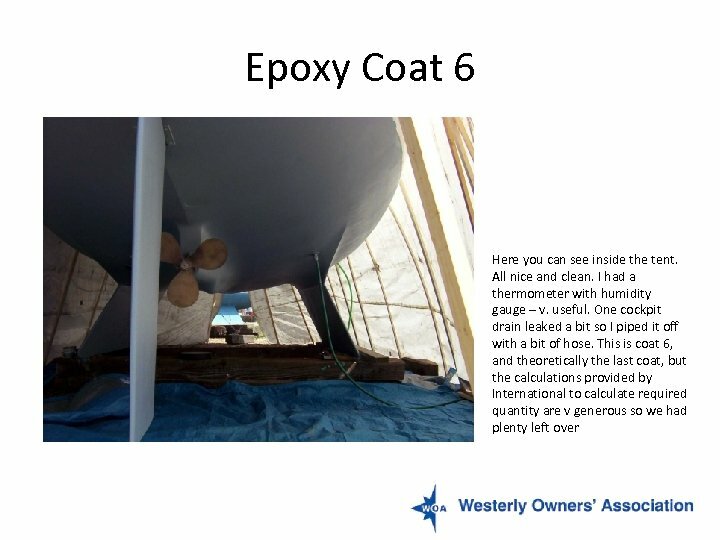 You have plenty of time between coats but there is a strict time limit between last epoxy and 1 st antifoul. So time it to allow time for both coats. Презентация thyroid gland diseases p.c.